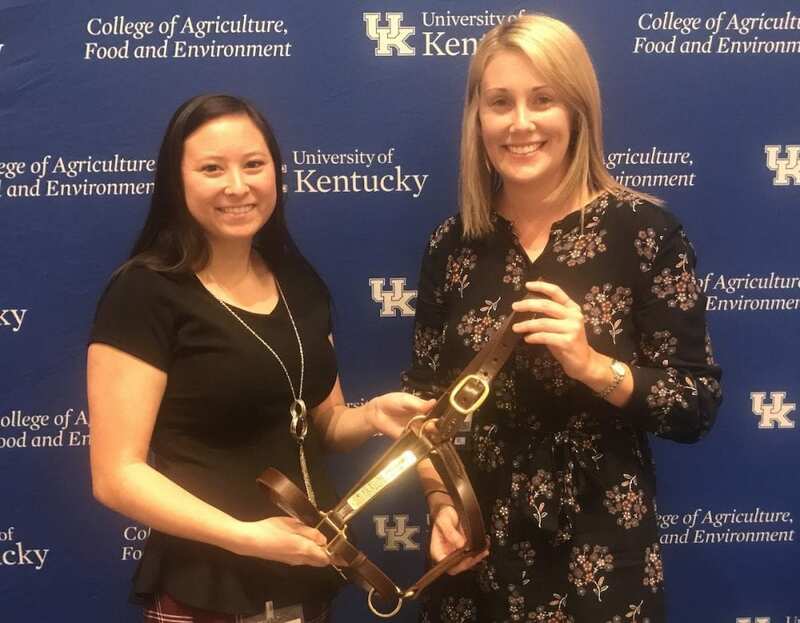 Thoroughbred Aftercare Alliance intern Alex Kokka was named Outstanding Intern during the University of Kentucky's Ag Equine Program Internship Showcase Dec. 6. Kokka interned with the TAA during the fall 2018 semester and graduates this month with a Bachelor of Science in Equine Science and Management. In her time with the TAA, Kokka assisted with marketing and events, including the second annual Equestricon where the TAA was the official charity partner. Based in Lexington, Ky., the Thoroughbred Aftercare Alliance is a 501(c)(3) nonprofit that accredits, inspects, and awards grants to approved aftercare organizations to retrain, rehome, and retire Thoroughbreds using industry-wide funding. Along with continued funding from its original partners Breeders' Cup, The Jockey Club, and Keeneland Association, the TAA is supported by owners, trainers, breeders, racetracks, aftercare professionals, and other industry members. Since inception in 2012, the TAA has granted more than $13.8 million to accredited aftercare organizations. Currently 70 aftercare organizations supporting approximately 160 facilities across North America have been granted accreditation. To learn more about the TAA, visit ThoroughbredAftercare.org. This entry was posted in People and tagged Alex Kokka, Erin Shea, Savannah Robin, TAA, Thoroughbred Aftercare Alliance, University of Kentucky Ag Equine Program by Press Release. Bookmark the permalink.